Our broad-based, diverse coalition developed I-1631 with support from a united front of organized labor, environmental advocates, communities of color, faith communities, sovereign tribes and many others. This policy will accelerate Washington state’s transition to clean energy and increase the resiliency of our state’s waters and communities to the impacts of climate change by putting a fee on the state’s largest corporate polluters. As the lead health voice in this coalition, WPSR is all-in for this historic initiative! Our members collected over 9,000 signatures to get it on the ballot, and we’ll be talking to voters through November. Sign-up to join us and canvass here. Look for high volume events especially with people likely to sign, such as running, walking events. Adopt good locations and canvass there as often as possible, such as daily. I go to the Greenlake Village PCC every day after work, for 1-2 hours. Be ready to explain in as few words as possible: "funds healthy forests, clean air, energy, water, with a carbon fee." 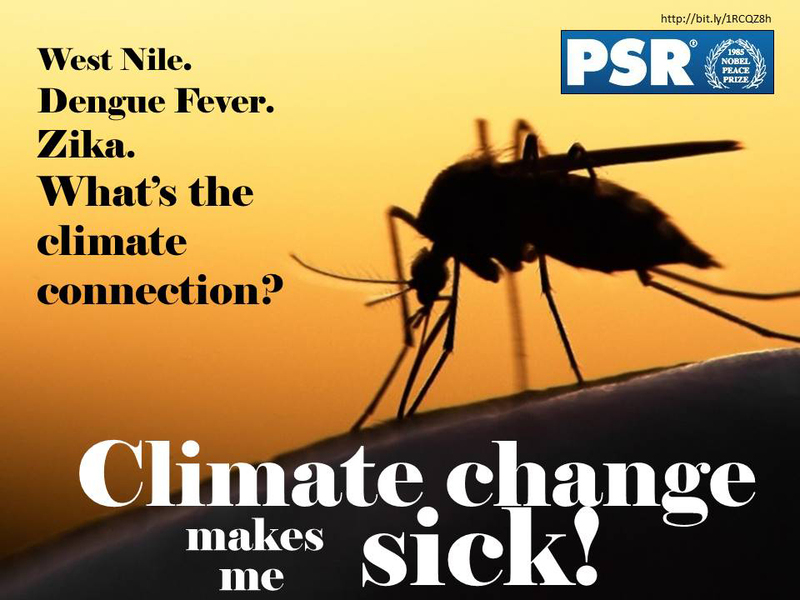 An informational video by Dr. Lans, WPSR President and a member of the Alliance for Jobs and Clean Energy Steering Committee, on I-1631 and the connections between climate change and health. Washington Physicians for Social Responsibility joined the Alliance for Jobs and Clean Energy (AJCE) in 2015. The AJCE is Washington State’s coalition of individuals, organizations and businesses dedicated to reducing global warming pollution, strengthening our economy, and making sure all Washington families have a better future. Together, we’re calling for immediate action to protect people, places and the quality of life in this state. WPSR represents the health voice on the AJCE Steering Committee, alongside over 30 other Washington organizations including the American Lung Association of the Mountain Pacific, 350 Seattle, OneAmerica, and many others. As an organization of health care professionals, Washington Physicians for Social Responsibility believes it is crucial that our political leaders and the public understand that climate change is the biggest global health threat of the 21st century. The science and facts are clear: global warming is real, people are the cause, carbon pollution from burning fossil fuels is the major contributor, and climate change hurts real people right now. What we face is a true planetary emergency — unless global carbon emissions (now rising 2.5% a year) actually start to fall within the next decade, we can expect to see further and more drastic changes to the weather and climate, and growing adverse health impacts all over the world. Time is not on our side. The public health response to this crisis is clear — we need to take decisive action to put a limit on carbon emissions to have any hope of avoiding the dire consequences we face on our current path. We need to put a price on carbon. We already pay a price of carbon— a dollar and health cost stemming from climate change-related increases in heat waves, storms, floods, fire and drought; from spreading infectious diseases; from conflicts arising from food and water shortages and displaced populations; and from air pollution-related illness. The same carbon-emission reduction efforts that would mitigate climate change would also have enormous co-benefits to improved public health, because carbon pollution is not the only problem. Even absent a connection to climate change, burning fossil fuels has significant, harmful impacts on health. Coal, gasoline and diesel combustion are also responsible for most of our other air pollutants — particulate matter, sulfur oxide, and nitrogen oxides. These aggravate heart disease, lung disease and other health problems. Climate change further worsens air pollution, through heat wave connected smog formation — smog which triggers asthma attacks and worsens respiratory problems, especially in young children and the elderly. The result? Increased sickness and death, higher health-care costs, and more lost days at work and school. Some would argue that the central issue is who should pay that price of carbon: the companies who make a profit from fossil fuels, or the rest of us, who pick up the tab now (as will our children on into the future)? The real issue is that we’ll all pay the price. Putting a predictable, long-term price on carbon (closer to society's cost of dealing with it) is the most efficient strategy to encourage a smooth, fiscally-sound, and timely switch to low-carbon energy choices. Factor the cost of pollution into the price of oil, gas, and coal, and the market can make informed energy investment decisions. From the major insurance companies and leading corporate executives, to the World Health Organization, the World Bank and even the Pentagon comes the same message: the longer we wait, the greater the challenges and costs. While there will be expenses involved in reducing carbon emissions, they are relatively small compared to the long-term costs, disruptions, and dangers of doing nothing — of continuing to do business as usual. The technology exists to shift our dependency from fossil fuels, but there is currently little economic incentive to do so since the true costs of our current energy use remain externalized. There is general agreement among economists that pricing carbon would incentivize all possible solutions to our carbon crisis and therefore have a greater impact than regulation or subsidies. In addition to laying out workable and effective plans to reduce carbon consumption and emissions, any credible policy should also address the disproportionate impact increases in energy costs would have on lower income groups (who currently suffer a higher incidence of respiratory ailments due to air pollution and face a greater likelihood of harm from climate related disasters). Any acceptable carbon pricing scheme should have offsetting benefits in the form of funding programs aimed at lower income and other particularly vulnerable groups or in the form of a direct dividend — and should also have mechanisms to mitigate the regressive effects of a direct consumption tax. Passage in Washington of this kind of legislation would, along with the carbon pricing policies already in place in other parts of the West Coast (including California and British Columbia), set up an important, congruous, and supportive regional carbon pricing effort. Since the combination of Washington, California, Oregon and British Columbia represents the fifth largest economy in the world, this would also provide a powerful boost to all carbon pricing efforts. With this regional effort (and large carbon market) in place, it should become much easier for other states and regions to join in, which would set the stage for significant reductions in US carbon emissions. It would also be important for global efforts, as it would demonstrate to the rest of the world that we are serious about, and leading the way toward, a cleaner energy future. Whether through a system of cap-and-trade or a tax on sources of carbon pollution (or some mix of these), it is imperative and undeniable that we need to take prompt and decisive action to protect the health and well-being of the people of our state, our country, and our planet from the significant and growing harms caused by air pollution, carbon emissions, and worsening climate change. To this end, with the very future of our children and future generations at stake, Washington Physicians for Social Responsibility supports putting a price on carbon as quickly and expeditiously as we can. Washington Physicians for Social Responsibility engages the community to create a healthy, peaceful and sustainable world.